As the sun beats down on the soccer field, 22 high school soccer playing boys run around the field in all directions. Sauntering around the field with his blonde “man bun” swaying behind him, Tristan Cox sticks out from all the boys with short hair, cut close to their heads. At ARHS, the trend is alive, especially among sophomore and junior boys. “[I] like the visual spectacle of being the only one with long hair on the soccer field or tennis court,” said sophomore Tristan Cox. Cox does not mind being different and in fact, he relishes the idea. Facing criticism of his hairstyle is not something that bothers Cox, nor does it affect the choices he makes surrounding his hair. The same is true for fellow sophomore Jonas Kaplan-Bucciarelli who knows that some people do not like his choice in hairstyle, a fact he does not let bother him. Growing a man bun takes dedication. Kaplan-Bucciarelli has been growing out his hair since last summer and has been able to get it up in a hair tie this trimester. Cox has had his man bun in its full state for about nine months. 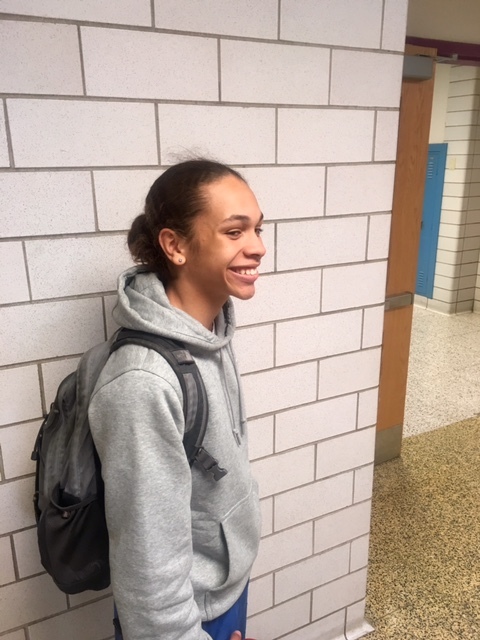 Junior IanI Ferreira has had long hair since he was very young and recently starting putting it up in a man bun this summer. Ferreira was looking for something new and different. “It’s pretty swaggy,” said Ferreira. Cox, Ferreira, and Kaplan- Bucciarelli all agree the best part of sporting a bun is the low maintenance nature of the hairstyle as well as the ease of putting it up and keeping it out of your face. “I put it up twice a day and that’s it. Once it’s up, it’s out of my face, and I don’t have to deal with it” said Cox. If there is a downside, it could be related to people’s opinions relating to man buns. “A lot of people be hating sometimes. I don’t really care, but sometimes it gets annoying,” said Ferreira. Cox said August 3 will be the“end of an era.” This is the date he plans to cut off his hair. “All good things must end,” said Cox. He plans to sell his hair on a website called hairsellon.com for over 500 dollars. Cox cites the fact that he has “virgin” hair, which means it has never been processed or dyed, which makes it more valuable. 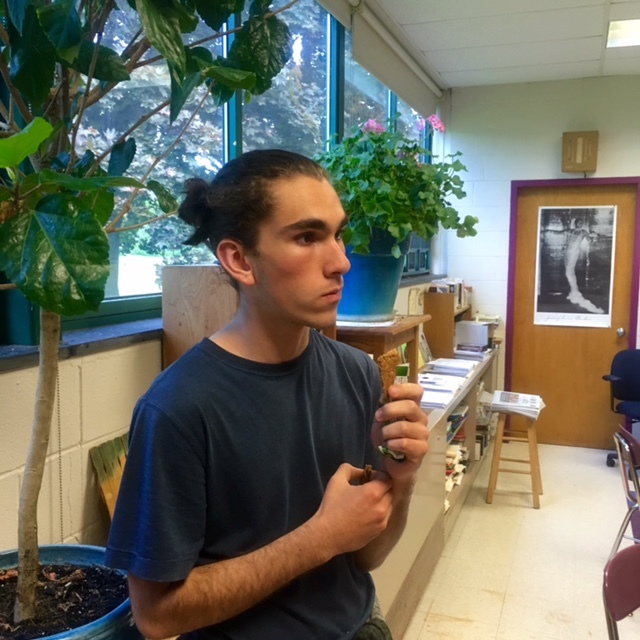 While Cox has a definite end in sight for his man bun, Kaplan-Bucciarelli is less sure of what the future holds for his man bun. “If it gets really hot this summer, or starts to look really bad because it gets too long,” he said he’ll cut it. But he has no plans in the immediate future to get rid of it. Ferreira plans to continue wearing the style for a while. “I probably will keep on wearing a man bun ‘til I cut my hair which is probably never, ‘til I’m old,” said Ferreira. Cox said he thinks all the attention around men with long hair is rooted in sexism. Expectations that females with long hair are feminine and men with short hair are masculine still flourish. He added that putting the word “man” before bun assigns “an out of place effeminate quality” to any man who sports a stereotypical female hairdo, like the bun. An onslaught of comments attached itself to this article ranging from people threatening to carry scissors around Brooklyn and cut man buns off to those in strong support of the growing trend. Ferreira appreciates the man bun trend as a whole. “Finally people want to grow their hair out. When I was little a lot of people made fun of me because my hair was long,” said Ferreira. He has also faced assumptions relating to his gender because of the length of his hair for his entire life, especially when he was younger. He remembers countless times when he was younger where he contemplated cutting his hair after someone confused his gender due to his hairstyle. 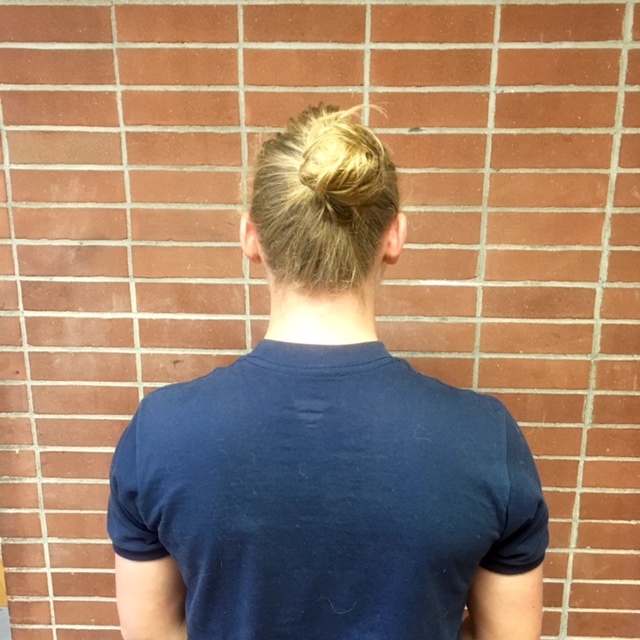 Man buns continue to take over social media. Two of the most popular instagram accounts dedicated to man buns include @dailymanbun and @manbunsofdisneyland. These accounts have 76.5k followers and 54.3k followers respectively. Numerous articles have been posted, from the New York Times to Buzzfeed. One looking for more information on man buns or those who would like to know how they to can achieve the hairstyle, can look no further than the Official Site for Man Buns and Long Hair, www.manbunhairstyle.net. Here you can get tips on how long your hair needs to be, different style inspirations, and even what products work best to achieve the perfect man bun.